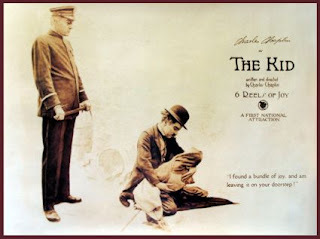 Jack Le Moine's Blog: Charlie Chaplin's "The Kid"
This is a handbill for Charlie Chaplin's famous movie from 1921. This article is a great discussion about the art of writing and composition. It starts with the 3 things that the above picture does to draw attention to the movie. Who is opposing the hero? See why Chaplin chose this picture? A great case study on the art of marketing! You can watch the complete movie (without sound) here.